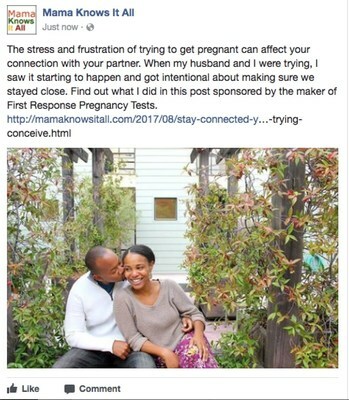 EWING, N.J., Aug. 29, 2017 /PRNewswire/ -- Church & Dwight Co., Inc. (NYSE: CHD), the makers of First Response™ pregnancy and ovulation tests, announced today that they have partnered with four women to create a digital content series sharing the real-life stories of their trying-to-conceive journeys. In 2016, the fertility rate in the United States reached a record low1, reinforcing that each trying-to-conceive journey is unique and may come with its own set of challenges and emotions. As pioneers in women's health for over 30 years, First Response™ supported the development of the series to show their commitment to helping women every step of the way on their path to motherhood. Brandi Jeter of Mama Knows It All: This Bay Area blogger of all things parenting, family and marriage will use the digital diaries series as an opportunity to talk candidly about the emotional journey to becoming a mother to her eight-year-old girl and newborn baby boy. Follow her story on Facebook, Twitter and Instagram. Danielle Davis ofToday's the Best Day: Though she is now a mother to two children, Danielle's trying-to-conceive journey challenges began at age 17, when she was diagnosed with Polycystic Ovarian Syndrome, leading to multiple rounds of Clomid, IUIs and a round of IVF later in life. Her passion for motherhood is contagious and loves striving to make EVERY day, the BEST day with her "Bestie" Tribe! Follow her story on Facebook, Twitter and Instagram. 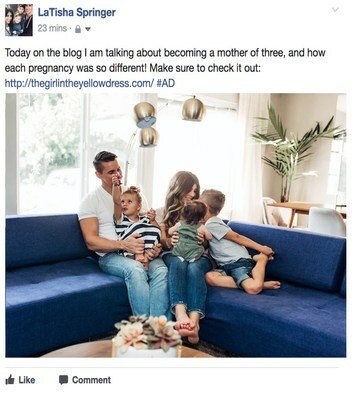 LaTisha Springer of The Girl in the Yellow Dress: Followers of The Girl in the Yellow Dress can read about LaTisha's fashion tips for girls and mothers, life as a mom, and everything in between. Through her posts, LaTisha will share her journey to becoming mother to her three children. Follow her story on Facebook, Twitter and Instagram. 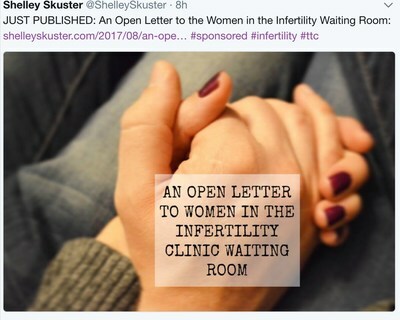 Shelley Skuster of ShelleySkuster.com: As a mother to three daughters, with a fourth on the way, Shelley has faced many challenges along her trying-to-conceive journey and is no stranger to sharing her personal experience with infertility, adoption, pregnancy and motherhood. Follow her story on Facebook, Twitter and Instagram. 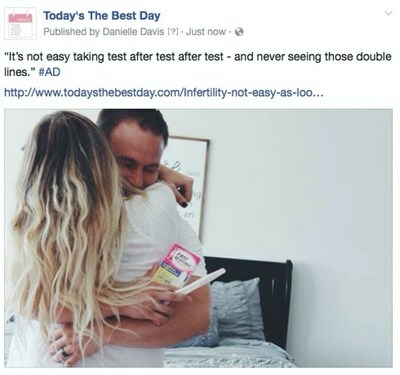 "First Response is committed to providing pregnancy tests to women, but the brand's involvement in a woman's journey to motherhood begins long before that. We aim to be a partner for families through their entire trying-to-conceive journey – whatever that journey may be," said Stephanie Berez, Director of Marketing for First Response. "We are thrilled that these four women have agreed to tell their stories, the stories that so many women experience but might not feel comfortable sharing. Their bravery opens a door for us to talk about the pregnancy journey in a way we never have been able to before." 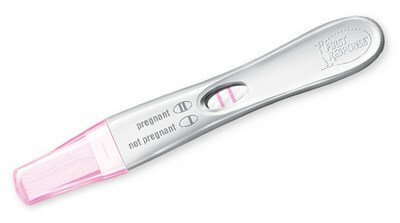 First Response™Early Result Pregnancy Test: Designed with the classic straight stick, this test can be used 6 days before a missed period and is 99�curate from the day of the expected period. Pre-Seed™ Fertility-Friendly Lubricant: Recommended by fertility experts, this high-quality, sperm-friendly lubricant mimics fertile cervical fluids. Due Date Calculator: An online tool that uses a woman's average cycle length and the date of your last period to calculate when you can expect your little one to arrive2. First Response™ Daily Digital Ovulation Test: With EasyRead™ technology and results in words, this ovulation test predicts your most fertile days with over 99�curacy3. Expert Q&As: Housed on the First Response website and First Response™ app, these Q&A's feature valuable information on conception, infertility and more, from First Response™ experts like Mary Jane Minkin M.D. The First Response™ app is available for free download on Android and iPhone devices and in the Amazon app store. It allows women to track doctor visits, input daily calendar entries, view step-by-step instructions for using First Response™ tests and provides access to many more pre- and post-pregnancy resources. For more information about First Response™, please visit www.firstresponse.com/. Church & Dwight Co., Inc., headquartered in Ewing, NJ, manufactures and markets a wide range of personal care, household, and specialty products under the ARM & HAMMER™ brand name and other well-known trademarks. 2 Only your physician can accurately determine your due date or the date of your conception based on his/her knowledge of your complete medical condition. 3 Over 99�curate in detecting the LG surge in laboratory studies. SOURCE Church & Dwight Co., Inc.